Shop at Nordstrom or Nordstrom Rack? Score $25 in Bonus Amazon Credit. If you ever buy clothes at Nordstrom, Nordstrom Rack, or HauteLook, you might as well get some free Amazon credit for your trouble. Update: The BTSNORD10 deal, which gave you $20 in Amazon credit with the purchase of a $100 gift card, has expired. As of now, the NORDRACK5 promo code ($5 credit with $25 gift card purchase) is still available. 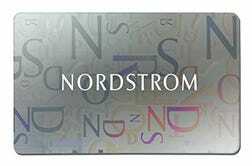 While supplies last, if you buy a $100 Nordstrom gift card from Amazon, and use promo code BTSNORD10 at checkout, you’ll get a $20 Amazon promo credit tossed in for free. 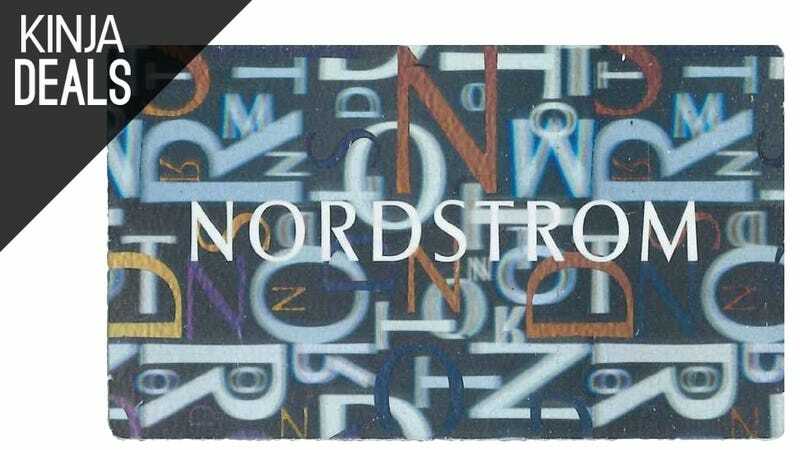 If that’s more than you want to spend, or if you’re greedy and just want even more Amazon credit, this $25 Nordstrom Rack gift card comes with its own $5 credit if you use code NORDRACK5. You can only claim each credit once, so you won’t be able to, say, but two of the $25 Nordstrom Rack gift cards to get $10 in credit, but you could order the two gift cards separately for $125, and get $25 worth of credit in total. It’s also worth noting that while one of these is branded as a Nordstrom gift card, and the other is for Nordstrom Rack, they are both completely interchangeable and will work at either store, along with HauteLook.